KAMPALA – Uganda National Examination Board (UNEB) has summoned the head teacher and 30 candidates of Mbale Secondary School to defend themselves against allegations of examination malpractice in just-released UACE exams. Mbale SS is one of the schools whose UCE results were withheld. The charge against the candidates was a case of suspected collusion in Physics Paper four. 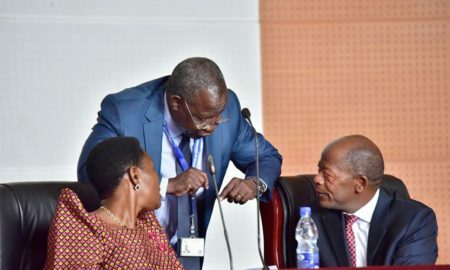 In a letter addressed to the school head teacher and signed by the UNEB executive secretary Dan Odongo directed the headmaster to appear before UNEB Security Committee on March 20, 2019. Others summoned include the Head of Physics Department and the Chief invigilator of the centre. The school deputy headteacher in charge of Administration James Danga says that the school administration has already mobilized the students to appear before UNEB. Danga says out 685 students who sat for UCE last year, UNEB cleared results of only 655 students and withheld results of 30 students. The school has two centers Main and Annex but the affected candidates were from the main Center. Mbale Secondary School got 86 candidates in Division one in 2018 compared to 45 in 2017. He stated that the school recorded improvement and it was ranked the best in the district. Although the incidences of examination malpractices are low, State Minister for Higher Education, John Chrysostom Muyingo says the government will support UNEB in all ways possible to control and eliminate exam malpractice. “The Country should know that the war against examination malpractices is like that against corruption. It’s a war that must be fought by all of us Minister Muyingo said. 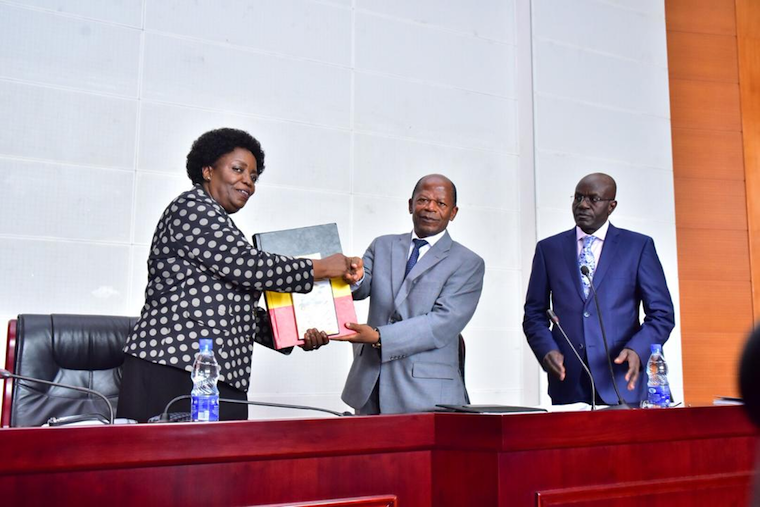 Professor Mary Okwakol, the UNEB Board Chairperson said that although cases of examination malpractices are low in UACE, UNEB is to continue instituting additional measures to eliminate examination malpractice so as to ensure credible results. A total of 99,576 candidates registered for the 2018 UACE examination from 2,094 centers compared to 101,269 candidates in 2017 from 1,918 centers. However, only 98,524 candidates appeared for the examinations. Statistics released by UNEB indicate that more students have qualified for University and another tertiary admission. History, Economic, Entrepreneurship Education, Mathematics, Physics, Chemistry, and Art were better performed last year compared to 2017. There was a decline in the performance of Christian Religious Education, Literature in English, Agriculture, and Biology.